RiTeR Induction provides for Dutch Railways and Deutsche Bahn (as well as other companies in the rail sector) with a perfect and unique induction technique that was designed and produced in close collaboration with these customers. This enables them to meet all the latest strict standards, demands and comply with EU rules and regulations. 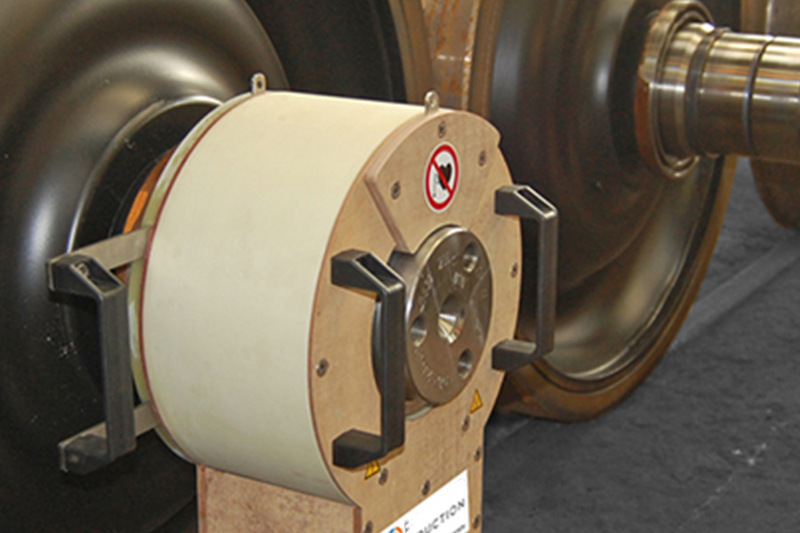 Great demands are made when dismantling bearing inner rings and/or wheel bearings on railway stock. 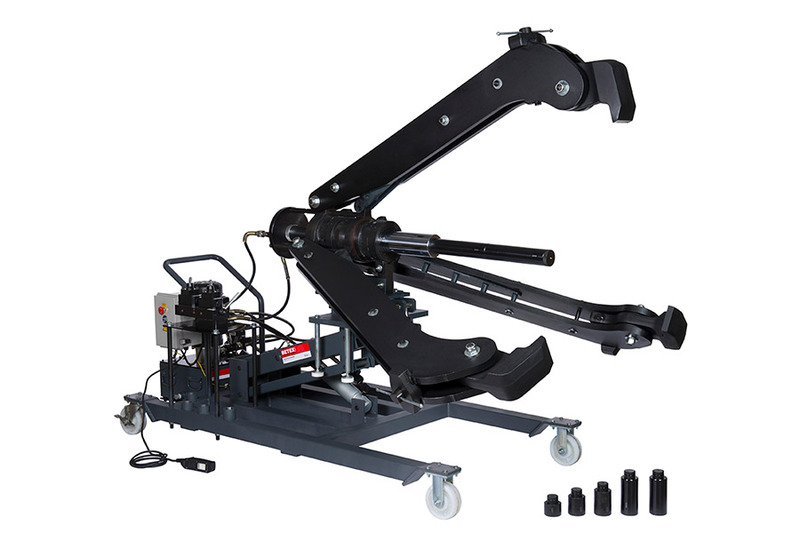 The crimp connections for the bearings and labyrinth sealing rings are such that when removed mechanically it always results in damage that requires repairing and therefore extra time and costs. But the mid-frequency RiTeR Induction technology offers a solution to this problem. Using modified induction coils, the bearings and labyrinth seals can be quickly brought up to the required temperature in a controlled manner so that the crimp connection comes free. In consultation with the customer it is possible to design and produce induction coils to suit any type or size of bearing. Moreover every induction coil is fitted with a clamping system that improves safety and assists ergonomic operation. 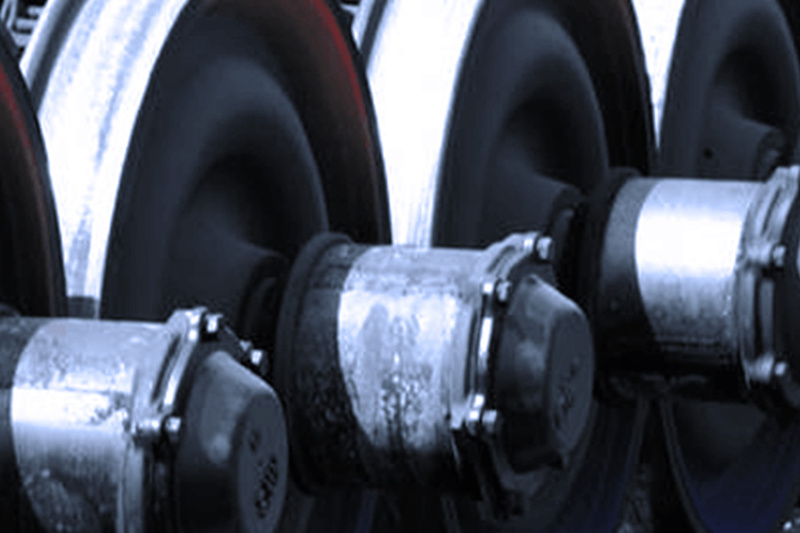 For recurring and also large series of the same type of wheels or wheel rims, we work with fixed induction coils that perfectly match the component in question. 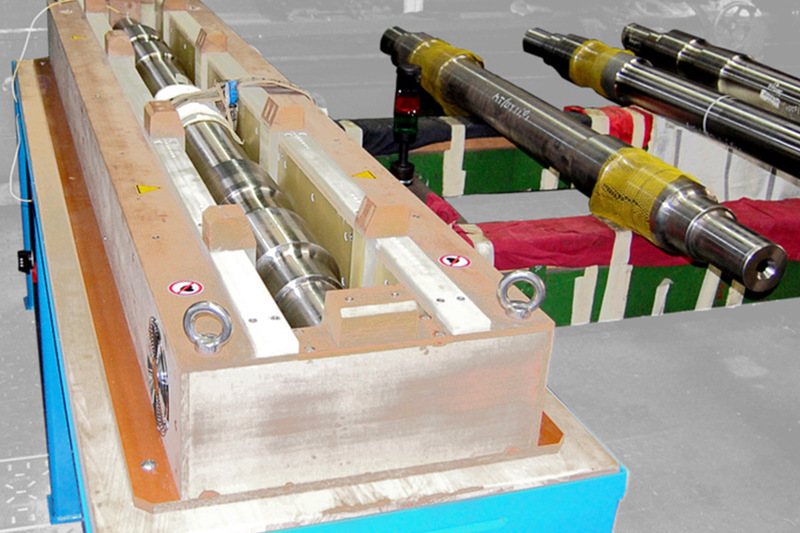 Where many different dimensions are involved, it is more efficient to work with our flexible induction tubes. Before train wheel shafts are assembled with components such as bearings, wheels, brake discs, drive assemblies, etc, they are treated with a molybdenum protective layer. This is to protect them against premature wear. In order to prepare the shafts properly for this process, they are heated by induction in order to improve adhesion and to guarantee longer life of the protective layer. 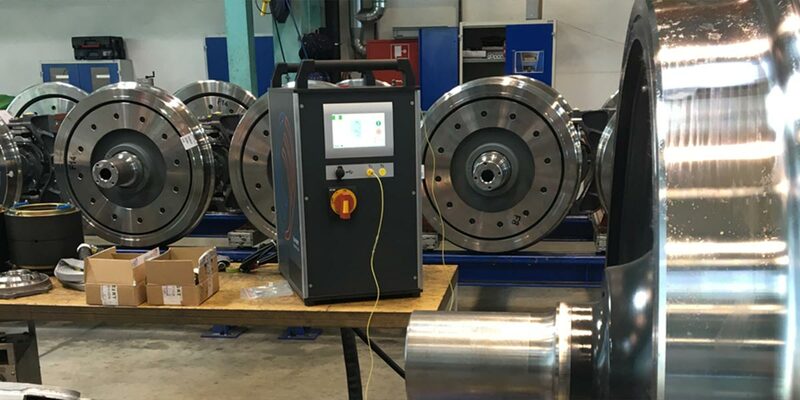 RiTeR Induction has designed an induction preheating device for this application, which brings the shafts up to the required temperature and is 100% reproducible. 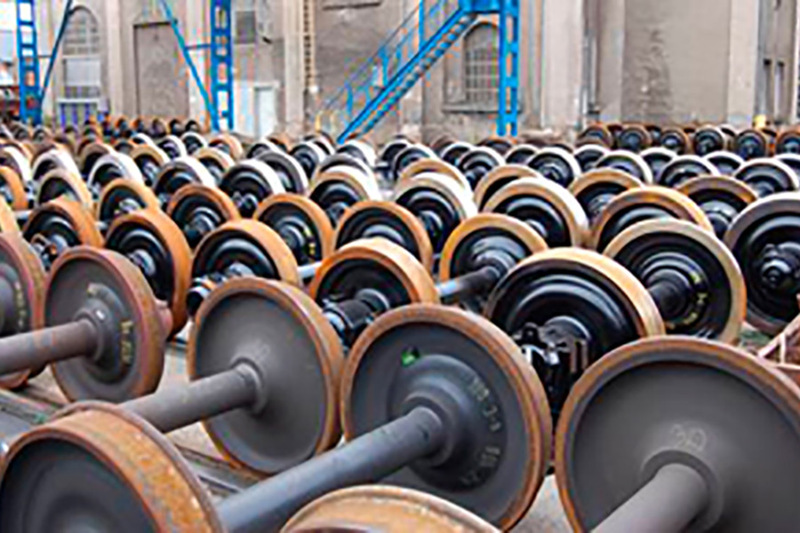 The technique and systems are mainly used by wheel set manufacturers and maintenance and reconditioning companies in the rail industry. RiTeR Induction has designed a special coil so that simultaneously 2 bearings can be removed. Only 30 seconds and both rings have been removed! temperature of 140°C is reached. The bearings expand so that they are easily removed from the shaft. 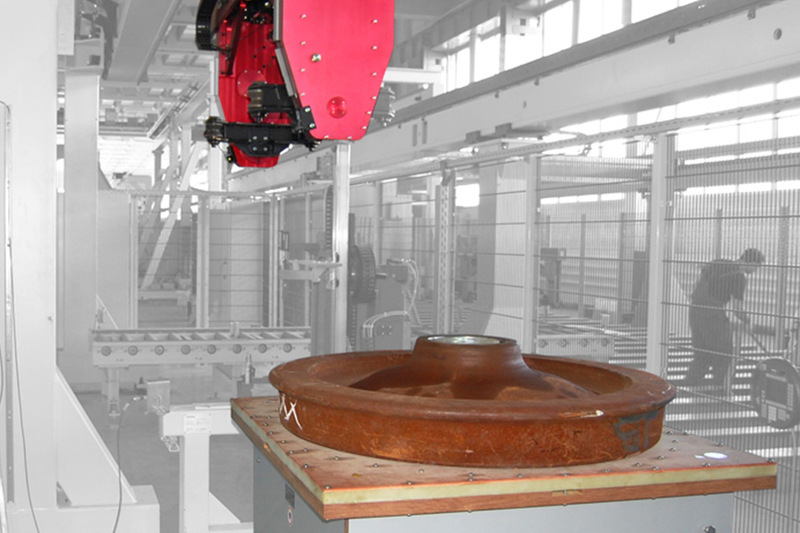 The mono-block (solid) wheels are heated from -30°C to 20°C ambient temperature on a specially designed induction bench so that the wheels can be worked on and rotated with the correct dimensions.